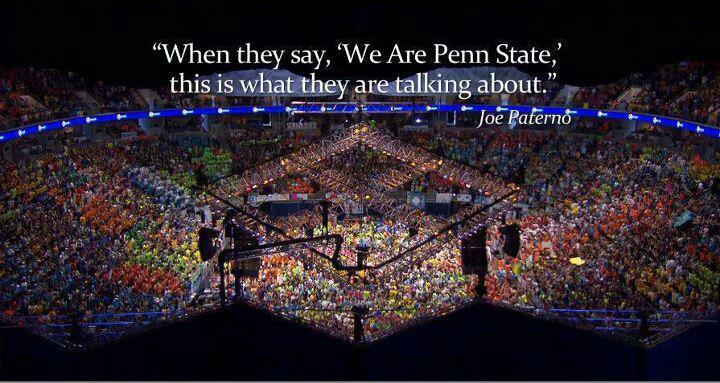 The Penn State IFC/Panhellenic Dance Marathon, more commonly known as THON, is the world’s largest student-run philanthropy. It raises money for the Four Diamonds Fund at Penn State Hershey Medical Center throughout the school year. These efforts culminate in THON Weekend, a 46-hour dance marathon that is a celebration of the pediatric cancer patients it supports and the year’s fundraising efforts. Hershey Medical Center is one of the top pediatric cancer treatment and research centers in the country, and the Four Diamonds Fund ensures that all children and their families are cared for throughout the treatment process. THON pairs families with various student fundraising organizations, creating connections that touch the lives of all involved. Operation Blue & Gold is a fundraising organization primarily organized by and formed from members of the NROTC Battalion. Participating in fundraising events throughout the year, Operation Blue & Gold raises thousands of dollars and members proudly dance the 46 hours of THON weekend. One day we will dance in celebration, until then we will dance for a cure. For more information on THON, click here.